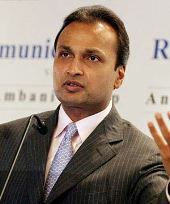 Anil Ambani-led Reliance Communications announced on Wednesday its partnership with software major Microsoft for offering Windows Mobile solutions on its wireless networks. According to the agreement, Microsoft will offer Windows Mobile solutions to RCom customers, including push e-mail support, chat, photo-sharing, content back-up and other applications, RCom said. RCom will introduce a special data plan offering data download of 200MB for Rs 95 per month to its customers using Windows Mobile phones, it added. "Our tie-up with Microsoft is part of our overall strategy to strengthen our market share in the fast growing smartphone segment. By offering the Windows Mobile Solution, we will be able to address a wider customer base in this segment," RCom head (wireless data business) Vrajesh Shelat said.